Smartphone communication is fast shifting from voice to text and images, and consumers are adopting messaging at an unprecedented pace. But are B2C businesses keeping up? Leading Forrester analyst, Julie Ask, spoke to CMO and revealed why marketers are still struggling to adopt best mobile commerce practice and leverage the likes of chatbots and instant messaging to engage with customers in more conversational ways. A new report revealed by Forrester, Vendor Landscape: Mobile Messaging Platforms, found that while consumers send over 370 billion texts, Apple iMessages, Facebook and WhatsApp messages globally in a fortnight block, enterprises are still struggling with finding new and effective ways to engage customers using the channel. 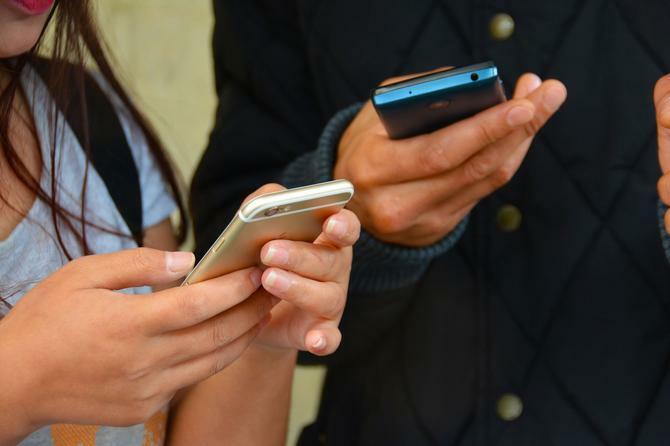 Consumers are rapidly embracing messaging as an efficient channel to relay information and complete simple tasks, yet only 39 per cent of digital businesses use SMS, 37 per cent use push notifications and a scant 8 per cent use interactive push notifications, the report found. According to Ask, the challenge businesses have with messaging is that unlike an app or mobile Web browser, where it’s about needs and motivations consumers have on the go, messaging is about really understanding the customer’s needs to communicate in an authentic and engaging way, delivering the right information they need exactly at the right time. “You have to understand a lot about a consumer because you're not just throwing up a bunch of services and waiting for them come use them,” she explained. “With messaging, you're actually trying to anticipate the need and serve that up proactively. In order to drive the move to embrace messaging as a way to engage with customers, Ask said the push needs to come from the CMO. While mobile is certainly the catalyst for digital business transformation in enterprises where mobile commerce is present, companies feel they are neither moving especially fast nor slow when it comes to using mobile and digital, another new research piece from Forrester, State of Digital: A Mobile Commerce Perspective, found. Ask agreed embracing mobile is a challenge every business has, especially established ones where there is less incentive to take big risks, leaving room for disruption to occur. The idea of chatbots exploded when Facebook opened its Messenger platform to third-party developers last year. According to Forrester’s State of Chatbots report, chatbots have the potential to improve information distribution, customer care, commerce, and marketing over time by making them more natural. Businesses like Domain have already unveiled a first property messenger bot, allowing consumers to find properties by interacting with Facebook Messenger. Even Disney introduced a chatbot to automate Muppet chats with fans via Facebook Messenger in 2016. But we aren’t there yet, and Ask said there’s still a long way to go when it comes to using chatbots to engage with customers in an authentic way. What isn’t here yet is the quality of natural language and understanding, which Ask stressed is essential for authentic customer engagement via chatbots. For businesses who want to start implementing chatbots, Ask suggested to start by keeping it simple and remember your audience expectations. “If you're a news organisation and you're delivering like the top five stories of the day, sure you can do that it in a chat board and you can say here's the five stories we've selected for you,” she said. “Or if you're expecting a package to be delivered you can type in a 16 digit number and get the status of your package or order.